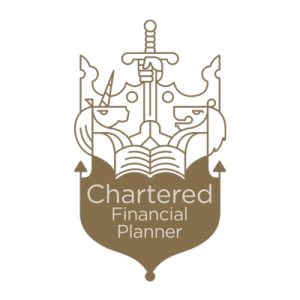 I am a Chartered Financial Adviser working with clients in Leicestershire. I have over 22 years’ experience in financial services much of it with Barclays and Santander. However, as the corporate world changed, it became clear to me that if I was to give my clients the best possible service, and truly independent financial advice, the only way to do that was to run my own business. That’s when ISJ Independent Financial Planning was born. Over the past 18 months have spent many long hours building and honing our client proposition, to make sure it meets the needs of our clients. Alongside studying to graduate as a Chartered Financial Planner. Having achieved this prestigious status, puts me in an elite bracket of advisers, only reached after years of study and binds me to a code of ethics to which I must adhere to. Now that task has been completed, I can look forward to the bit I really enjoy; providing independent financial advice to my clients, both existing and new. As a working mum with three children; Isha 15, Shaylen 19, and Joshua 5 (their initials are the inspiration behind my business’s name) balancing their requirements, with those of my clients and the business, isn’t always easy. But, it’s a challenge I enjoy. When time allows, I also enjoy going to the gym, reading and may also partake in the occasional gin & tonic! All investment advisers in the UK must be authorised and regulated by the Financial Conduct Authority (FCA). A register of all such advisers is available online. If someone approaches you claiming to offer financial advice, but they don’t appear on the register, this could, potentially, be the first sign of a scam. I like to be upfront about things, so please click here to visit ISJ Financial Planning’s entry on the FCA Register. You can also visit my own entry on the register by clicking here. Furthermore, advisers also need to hold an up-to-date Statement of Professional Standing (SPS) issued by a relevant body. Again, if your adviser cannot provide you with one of these, it should set alarm bells ringing. You can find mine by clicking here.